ELECTRA is a unique and incredibly elegant swimsuit. The neckline is built-up with a white, slightly transparent mesh and with gentle cuts. All of this makes that you will wear it not only to go to the beach, but it will be also perfect for going out at night. 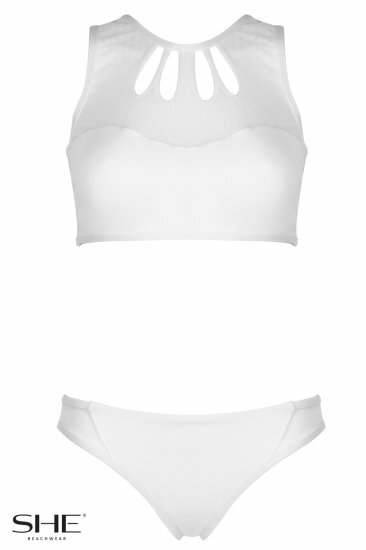 The set includes classic knickers, which due to insertions made of a mesh perfectly match the top of the swimsuit.